our combination classes (online + skills classroom). To Register for a Course: Go to "Class Calendar- Register" on the Menu Bar. Find the course, date and time that you wish to enroll in. Click on the course name. Click on "Register Here Now" Complete all required information on the enrollment Personal Information form. (Do not click on the Company Member "Login To Register" button. This is for industrial accounts members only!) Just complete the form and click on "Complete Registration" to submit. Be sure to provide a good email address that you check on a regular basis. (Your instructor will make contact with you using your provided email address). Pay for your course. We will only cancel a class for weather related reasons. Even if only one student is enrolled in class it will be held! Link to: Midwest CPR Foundation Inc.
BLS: How long is class? 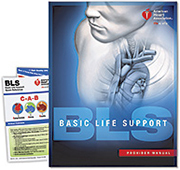 NEW: BLS/ACLS Combination online & skills Combination Online + Skills Class: Heartcode ACLS I, II, III and Heartcode BLS I, II III with BLS and ACLS Student eManual $354.00 paid in advance for all (online class, ). Practice/skills classroom at our location. Same AHA card issued as all classroom courses!! Which CPR Class Should I Take? 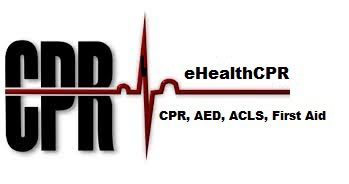 After registration go to www.ehealthcpr.net to pay for your class! How to Claim Your eCard Instructions after completing a Course! Family & Friends CPR:This is a family friendly course with a lot of hands-on practice and important life saving information. This class is DVD driven and has a text book that accompanies the course. Since there is no written or skills exam there is also no credential or certification for this course. Basic Life Support BLS Providers: The BLS Providers course is designed to provide a wide variety of certified or non-certified, licensed or non-licensed, healthcare professionals with the skills to keep people alive until they can be brought to a hospital or be treated with more advanced lifesaving measures. 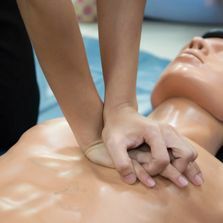 This course replaces the BLS for Healthcare Providers course. Heartsaver CPR AED:This is a credentialed class that is designed for the lay rescuer that is required to have CPR trainig but is not a healthcare practicioner. This course has a text book and a skills examination, but does not have a written examination. 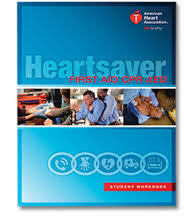 Heartsaver First Aid:This is a credentialed class that is designed for the lay rescuer that is required to have First Aid, and/or CPR and/or AED training but is not a healthcare practitioner. This course has a text book, and includes both a written examination and a practical skills examination. This course is comprised of many modules that can be selected to create a customized course to meet individual needs. 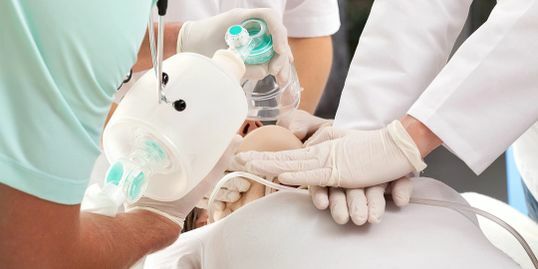 Pediatric Heartsaver First Aid:This course provides training for those that need Pediatric First-Aid training to meet a credential requirement. 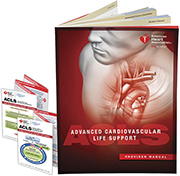 Advanced Cardiac Life Support ACLS:The ACLS Providers course is designed to provide the skills and knowledge necessary to properly identify and treat Cardiac Arrest in the Out of Hospital situation. 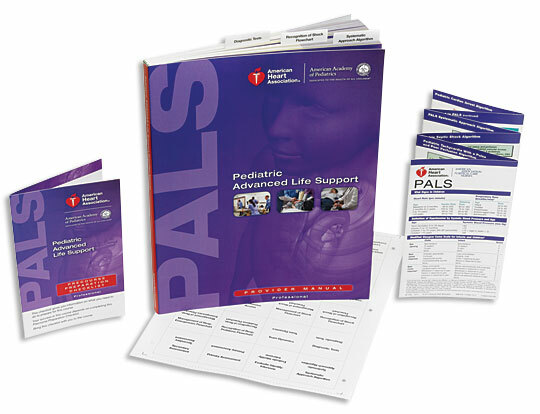 Pediatric Advanced Life Support PALS:The PALS Providers course is designed to provide the skills and knowledge necessary to properly treat Pediatric Cardiac Arrest in the Out of Hospital situation. AHA Online & Classroom Skills Classes at a single price! 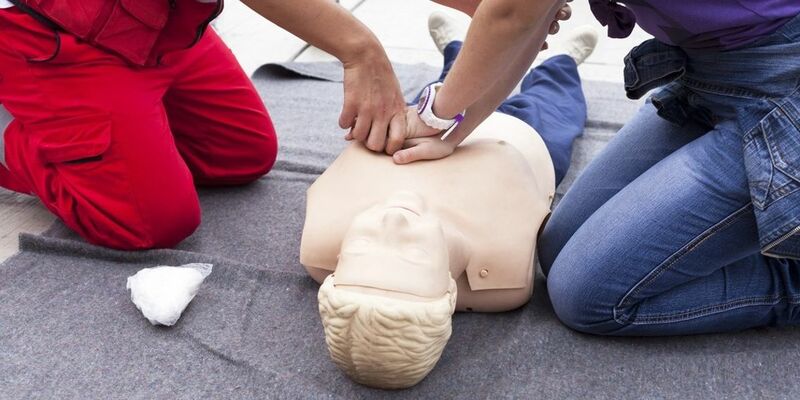 which provides students with the most hands-on CPR practice time possible. and others interested in learning how to save a life.